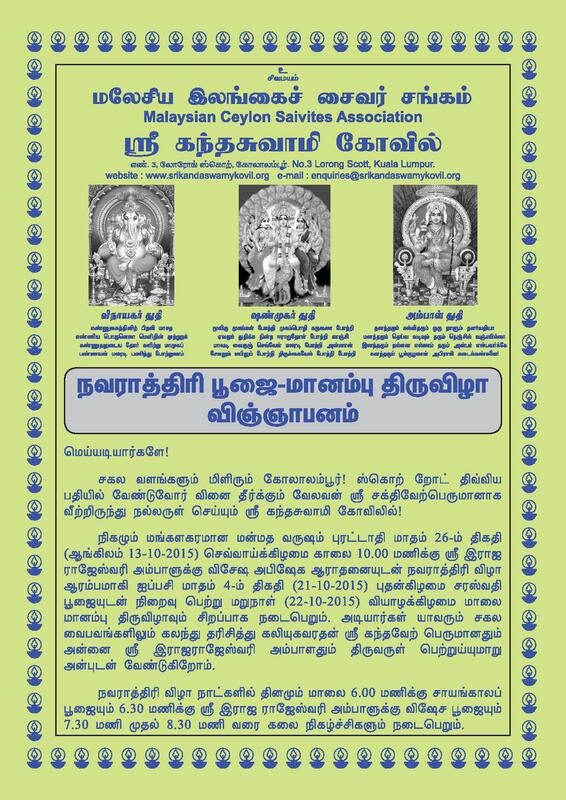 The Naavaarathiri Festival will begin with special abishegam for Sri Raja Rajeswari Ambal at 10.00 am on Tuesday, 13th October 2015 and continue till Wednesday, 21st October 2015 the day of Saraswathy Pooja. 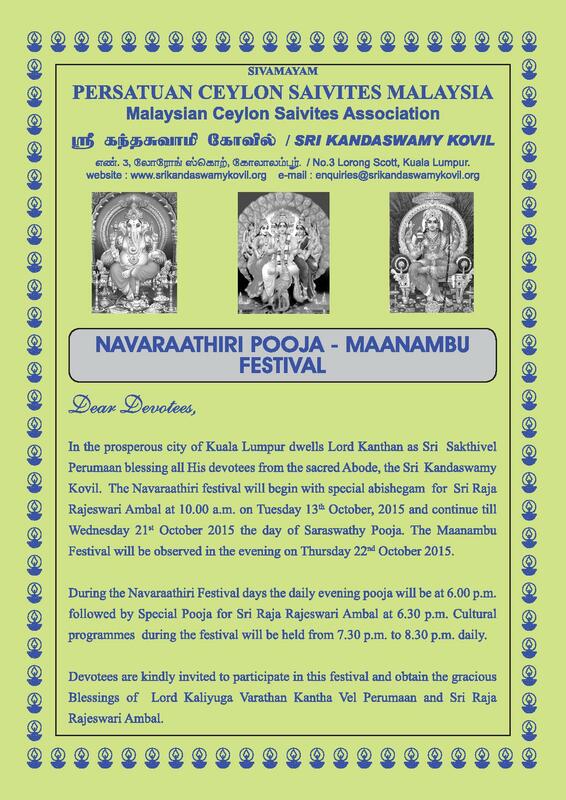 The Maanambu Festival will be observed in the evening on Thursday 22nd October 2015. During the Naavaarathiri Festival days the daily evening pooja will be at 6.00 pm followed by Special Pooja for Sri Raja Rajeswari Ambal at 6.30 pm. 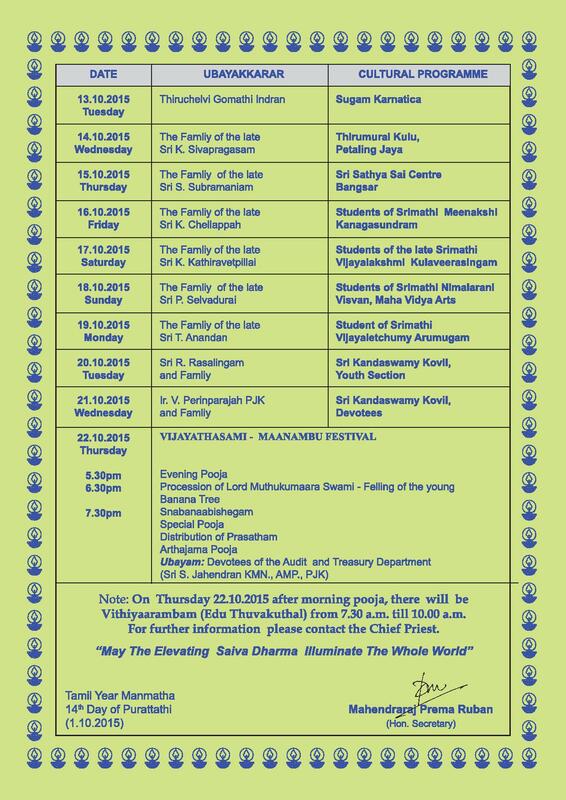 Cultural programmes during the festival will be held from 7.30pm to 8.30pm daily. 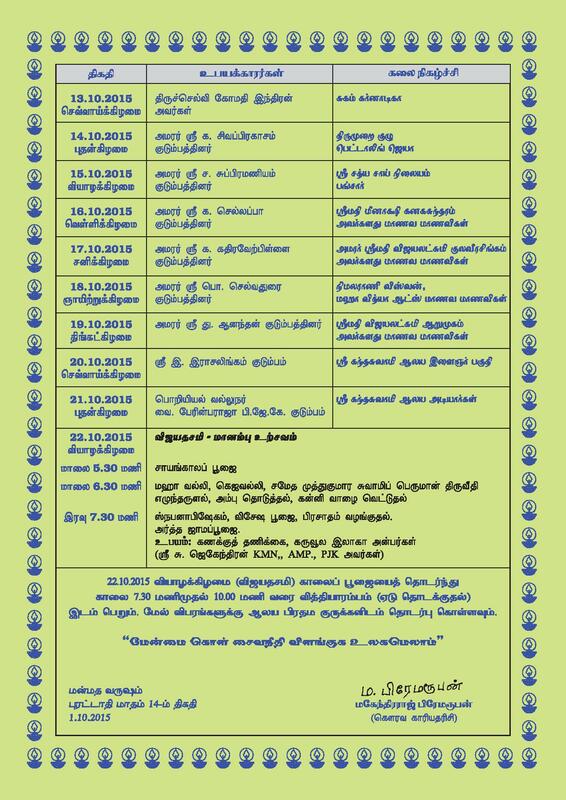 We invite all devotees to participate in the festival and obtain the gracious blessings of Kaliyuga Varatha Kantha Vel Perumaan and Sri Raja Rajeswari Ambal.